Does my child need a special education attorney? There is little in life as stressful as a parent or guardian's belief that their child is not receiving the appropriate education. 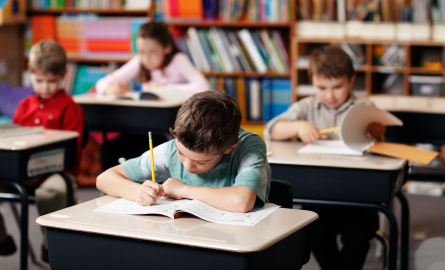 If your child has an Individualized Education Plan (an "IEP") or a Section 504 Service Plan and you have a disagreement with the services provided, or lack thereof, then you may need to consult with a special education attorney. If you disagree with the manner in which your child was evaluated for special education services, the results of said evaluation, or believe your child should be evaluated for services, but the school district has refused, then you may need to consult with a special education attorney. If you are a party to a due process hearing, then you need a special education attorney. A due process hearing is essentially a trial, the results of which will have a binding effect on your child's education. What types of services are available for my child? Special education covers not only academic exceptionalities, but also behavioral, emotional, psychological, and physical exceptionalities. Our firm takes a holistic approach to treating your child. We will ensure your child has not only a first rate IEP and academic supports, but also a Positive Behavior Support Plan ("PBSP"), and proper transition goals so that your child can move seamlessly into his or her life after high school. We will secure the services needed to give your child the tools to enter college or the skills to enter the working world with the foundations of a trade. If necessary, we will make sure your child has the appropriate speech and language supports, occupational services, and physical therapy. We can secure your child an Independent Educational Evaluation ("IEE") so that both you and your child's teachers have a comprehensive report from a psychiatrist or psychologist addressing not only your child's strengths and needs, but also specific programming recommendations to address such needs. What can a special education attorney provide for my child and my family? Our job is to identify with specificity the services your child needs and is entitled to, so that we can work together with the school district or charter school to address the issues efficiently and effectively. Special education is a complicated field, full of not only ambiguous acronyms, but also of complex diagnoses. Daniel Woody has studied child psychology, taught special education, and worked with countless children to ensure they are receiving the appropriate services. Our firm will simplify the process and work to relieve the parents or guardians of the stress they have been experiencing, often times at no, or little, cost to the family. We will negotiate an amicable settlement with the child's school that leaves the family in a positive relationship with the school and the child in the best position to succeed.